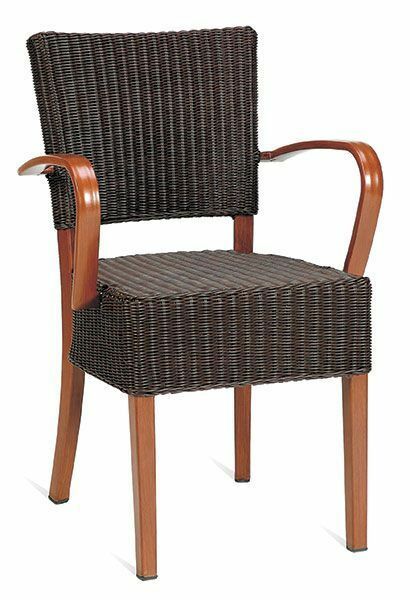 Outdoor weave armchair with a durable Teak frame and seat and back in a tight Espresso weave. Designed for use outside and available for a fast and free delivery. High end Espresso finish, bulky weave armchair. Complete with a stunning wood finish frame and held in stock for a quick 2-3 working day delivery.